Yes -- Borax got rid of the ants! Yes — Borax got rid of the ants! Note: This post is a blast from the pretty far past — originally published in 2013, but relevant & updated in 2016 — because these darn ants, they are back every year. When I ran a Borax giveaway a while back, several of you asked if the Borax really did get rid of the ants. Yes! I haven’t seen one in my kitchen since putting out this Borax recipe a couple of times. It works at least as well as, if not better than, the little ant bait things — plus, it’s easy to do and a better long term investment since you can also use your Borax for other purposes. Mix 1/2 C sugar, 1 1/2 Tbsp Borax, and 1.5 C warm water. Soak cotton balls in the mixture, and put them out near the mess of ants. The sugar attracts the ants, and they’ll take the Borax with it back to their home. BOY do these ants like this. In the initial Boraxian experiment, I locked the cats in the bedroom for a few hours and set several soaked cotton balls in a line along the edge of the cabinet where the ants were coming in. I let the ants go to town, picked up the cotton balls, wiped up the floor, and let the cats out. Then, I repeated the experiment for a second round of about an hour later in the evening (with MUCH fewer ants). By morning? No new ants in sight. Update — The Borax Effect lasts for some time. When the ants inevitably return, though, it’s super easy to whip up another little batch. Have you tried Borax to get rid of ants in your home? Comment here and let us know how it worked for you! 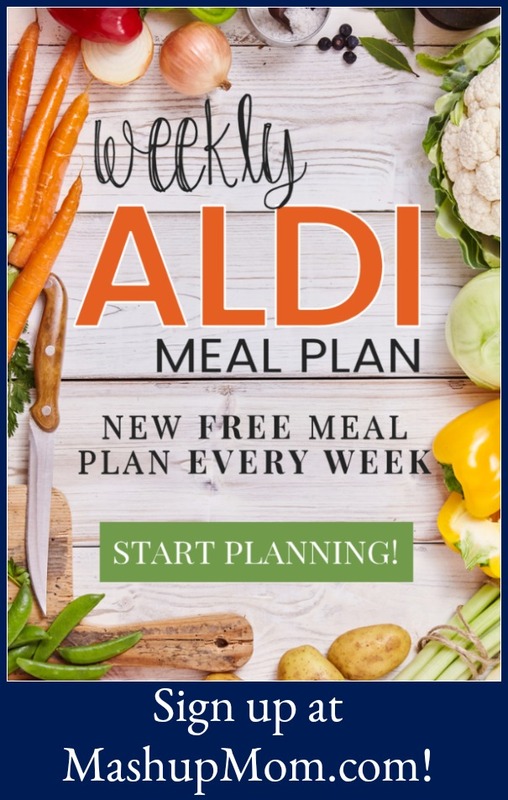 Free ALDI meal plans — a new ALDI meal plan each week around the current week’s ad prices! 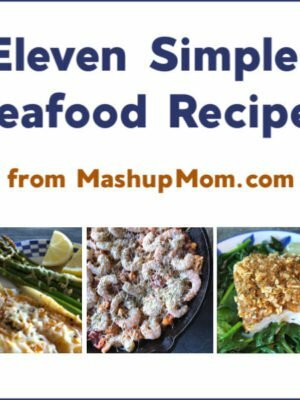 Find all the recipes and a printable, editable shopping list for six complete dinners for four, $60 out the door. 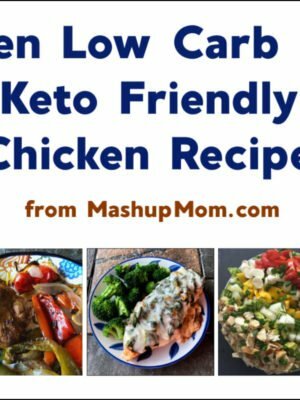 More Frugal Homemade Recipes and Ideas! Is it cheaper or better to make it, or to buy it? Anything else you’d like to see covered in one of these categories? Comment here and let me know! I have used cornmeal and have been successful in getting rid of ants that way too!! Just put a line out, sometimes even dumping a bit right near where the ants seemed to be coming from. And within a day–no ants!! Cornmeal is conditional. 1. You can’t get it wet before they ingest it. This may include not putting it in a refrigerator, dew(if using outside), or near an area whether you’ve had a moist room. 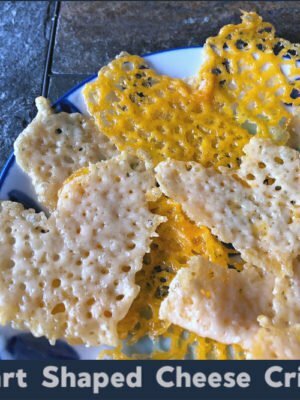 Plus, you’ll have to add a waterless second food item that is more attractive to them than the cornmeal(and that easily merges with it) or they might not eat it too quickly. Some eat raw CM quickly and some don’t. 2. It only seems to work on certain ants. I found that it didn’t work on the tiny black ants at all, but had mixed results with fire ants: it killed off one huge colony of fire ants. It took a long time; it seemed like it took at least 3 months(was a big colony). Bait was changed out only once. However, the next time we tried it, they didn’t take the honey+CM bait that had worked so well on the other FA colony. Neither did subbing in peanut butter for honey and/or baking soda for cornmeal help, as they loved it and it did not seem to rid our home of them. Raid got rid of them that time. Deterrent: I found that cayenne pepper works for the tiny black ants. It doesn’t seem to work on fire ants, though. Put it where they come in and throughout their trafficked areas. It takes about 2-3 days if you already have an infestation. They’ll walk right through as if it doesn’t bother them, but it will! Eventually, you won’t see them again there. My guess is that it has the same effect as it does on people that are not used to eating hot stuff–maybe to the extreme! It does not kill them, but they’ll definitely have to try and find another way in. Since this is the case, go around your home and seal up openings; add cayenne pepper powder to openings; and/or add wind and rain proof poison to your openings on the outside. Or you could find out where they are on the outside–if it can be seen. I suspect sometimes they come from underneath or have a nest inside your home. I have heard that Borax and Boric acid really works well on ants, roaches, etc. Some say use it as a food bait and some say use it as a powder that they’ll cross for their own demise. My guess is that you can do both. Plus, it is said it is only slightly toxic and also said that the gov’t labels it as if it were as toxic as table salt. I’ve been using borax and sugar on the little black ants for a couple years and it works really well for me. They are attracted to our humming bird feeders so I already knew they liked sugar water. Fire ants on the other hand are little murder machines so they prefer protein to carbs (sugar). I used a 5 to 1 ratio of peanut butter to borax to wipe out a couple fire ant colonies in my yard. It took couple of weeks though. Typically i can kill off the black ones in a matter of days. They may be carpenter ants. Have your home inspected. How do I get rid of ant hills in my yard. My yard is covered in ant hills. Help me. If you have ant “hills” they could be fire ants and they have a painful sting. 5 to 1 ratio of borax to peanut butter make a good bait but you have to mix it up really well. Putting the borax in with some water and making a paste then warming in the microwave before mixing helps. It can take a couple of weeks to completely destroy the colony and you will have to resupply the bait every other day or so because fire ants like to bury their food. OK, that said I hate fire ants and if you have several mounds I suggest you resort to chemical warfare. Pour a liquid killer with Acephate directly onto each mound to wipe them out instantly then use a granular poison that will settle into the soil to keep them out of your yard longer term. For more info Google “How to do the fire ant two-step” and watch the YouTube video. It’s only a minute and seven seconds long. Or you could call an exterminator. Good luck. I have animals so I am not able to use the chemical stuff. I boil big huge pots of water and we dump it on our ant piles near the porch edges and sidewalks … you will find little ant bodies everywhere the next morning but it really works. I then leave out borax bait or diatomaceous earth sprinkled on old mound and they don’t come back. 1 tablespoon to 6 tablespoons of sugar dissolved in a very small amount of warm water, making sure that the mix looks like sugar crystals…. I’m having some major issues with the tiny ants in my kitchen as well as in bedrooms at times. I have tried peppermint extract and realized it should have been oil instead. I previously used the ant baits from the store and they didn’t work too well. I’ve had to throw away cereal because of ants being in it. Any recommendations for any and all homemade ant baits would greatly be appreciated. I need to try that! We have a crack in our slab & a few make their way thru the ceramic & laminate in the hallway. I’ve been using baby powder & while it works, it is very messy! Great tip! Going to have to remember it in the spring. Since you already have the Borax, a half cup in the wash is great at getting that mildewy smell out of towels. OMG! Thanks! I can’t wait to try this next summer. Every year we have a ton and I spray and spray and nothing helps. I have to be careful what I use because of my cat too. I’m going to put the cotton balls out side too! Thank you Rachel!! !I will be trying this down here,,,,as soon as I get some Borax. I actually just used straight Borax last year – I put a line of it on the top of my backsplash and it did the trick. In college I pul a line of borax up next to all the exterior walls of my apt. and got rid of cockroaches that way. Borax is the best! do they take it back to the ‘ant house’ and it kills them? I get some coming in every year near a door but I also think some drop off a tree and come thru a skylight (really annoying having ants drop on your bed – especially when you’re in it!) I am not going on the roof to put cotton balls up there, but if they take it ‘home’ I can try it on the floor. ok, just made your mixture and put it under the sink, pantry, and bathtub. They seem to be coming up from under our house, Husband wants to “bomb” under the house but I told him to give this a try first! ok, an hour later, ants are all over it, I’ll post over the weekend to see if it has gotten rid of our little friends! Came home from dinner out to find that small ants had invaded our kitchen. Initially, I blamed my husband for not cleaning up remnants of snacks that were left where they fell. Then I sprinkled Borax on the ants and around the floor, especially near the walls, corners and in front of the sliding glass that leads to outside deck. Am I supposed to just leave the Borax there on the floor? If so, for how long? I just poured the Borax dry onto the floor. Is that correct? The ants seem to be walking on top of it with no effect. I did this 2 hours ago. Should I leave it there overnight? I did not add sugar, as I was afraid to make the problem worse. I did not wet the Borax. Is that still effective? Shopuld I clean up and reapply tomorrow? What does 1.5 c water in the borax recipe stand for along with 1-1/2 tbsp sugar and warm water and cotton ball? One and a half cups of water. Mac, My best approach. Do the sugar, water, borax combo, Soak a few little makeup remover rounds because they can be shaped to fit just about anywhere. Stand back and watch the stampede. The sugar and water are the bait and the borax is taken back to the hive and shared. I read that the borax mangles their insides. My ant problem is usually gone in hours or over night.. . I used old medicine bottle tops. The ones I’ve had lately have a little hole on the sides so they are perfect. Last year I used the ones without holes and they worked great as well. I just put some out in the traffic areas today!! From what I read here and other places, the trick is to put the Borax in a sugar paste. 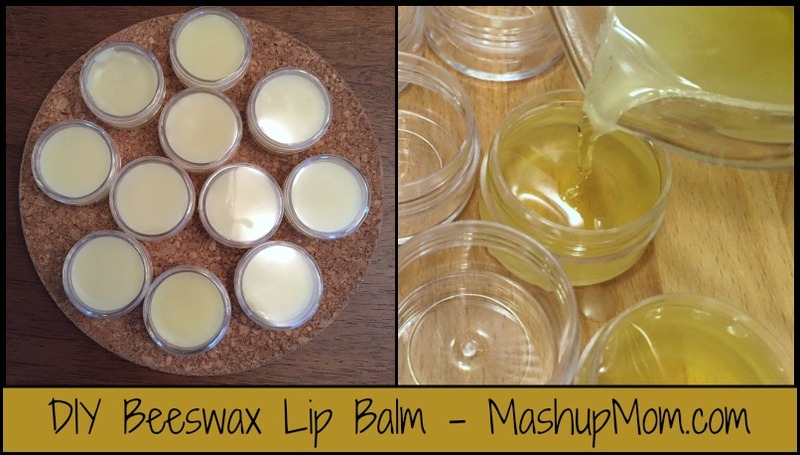 I mix about a Tbsp of Borax, Tbsp of sugar, and a few drops of water into a thick paste. Spread it on some pieces of cardboard (or something else the ants can easily climb on and put it in the trail. The ants will completely swarm the trap for a couple hours and then disappear. I think sugar & water are crucial. In my experience, it works really well & sometimes use the outdoor stakes in conjunction with it (some of those are made with Borax sol’n, too). OK I tried the cotton ball mixture. I will post if it works! I have tried so many other remedy & no luck! I can’t even water my plants cause the crawl all over my legs. Even my hands. Lucky the are not inside my house,just outside every where. Wish me luck! Thanks for this I tried it with the sugar and they just went around it, I must have savory ants! So I used peanut butter and borax (2 spoonful’s peanut butter to 1 of borax) smeared it in an old container with holes in the top for the safety of pets. Ants are now swarming it only 20 minutes later. Hopefully this will work!! Please let us know how it worked, Janelle. Thanks! It definitely works, and works great. I put cotton soaked borax (in little condiment cups with lids, and made holes for the ants to crawl in and out) one with sugar, one with peanut butter and one with honey, and my ants liked the honey mixture the best. Be careful not to use too strong a concentration of borax and sweetener. I found that if the borax is close to a 50/50 mix the ants start to leave it alone. So use less than 50% borax. The stronger the concentration, the faster it works but if they don’t eat it, it won’t work at all. I’m going to be trying a 25% borax mix to see how that works. I use a little hot water to blend the mix well and spread out the cotton ball in the condiment cup so the ants have more surface area to eat the mix. Correct. For some reason some ants are drawn to protein like food (peanut butter) while others go for sweet foods like sugar. Go figure? ? Peanut butter with borex should work though. Thank you! I am doing this right now! I made a mix of 2 tsp of 20 mule team borax to 1/4 cup og peanut butter. Heated up the peanut butter in the microwave til it liquified, mixed in the borax, 24 hours later there are a lot less ants. So far so good. I had the same problem. I tired the same exact recipe and no more carpenter and small red ants in 24 hours!!! 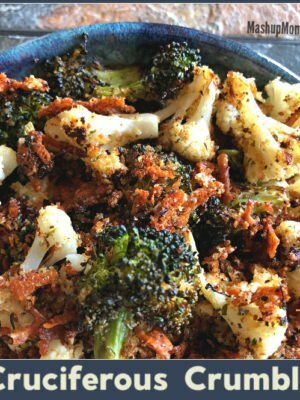 Amazing recipe and dirt cheap. One month ago I had major plumbing work done….I normally see a few ants here and there every spring/summer…I would put out ant traps and after few days or so no ants till next spring…..Not this year!! Two weeks or so after plumbing work was done, my house was INVAIDED by hundreds of the tiny black ants and tiny black flying ants! I sprayed ortho home defense…..three days later floor was covered in ants again…I found the borax solution online, mixed it up, put it in water bottle lids about every foot or so against they walls around my kitchen inside…I also did this outside around the whole house….within an hour of doing this the ants were swarming the bottle cap lids!!! DO NOT KILL THE ANTS!! The only way this will work to kill them and the colony, is to let them take it back to the nest for the rest of the colony (including the queen) to eat….For three days I would put out fresh bait (borax, sugar, water) each day I would see less and less ants. Its been about a week or so since I began my battle and have not seen even one ant!! Fingers crossed this has worked to keep my home ant free and has hopefully killed any colonies inside and outside my home. Thanks all for the tips! THANK YOU BORAX!! I came home after being out of town for a week and my roommates and I have little black worker ants all over our kitchen cabinets. I took everything out and bleached it and it looks like they’re coming from the crevice above the cabinets. I’m going to try putting the mixture in one of the cabinets and on the counter/floor. Fingers crossed! I’ll post if it works or not! 9/9/2014: Just did this exact method last night. Scenario: 2nd story condo, ants appear to be coming from within the walls (not front door or windows), attracted to sugar and food, random “searching” ants found in closets, bathrooms, a few in the bed. Ants in the bed was the final straw – what was their purpose there? We have a well maintained property and made sure all foods in the cupboard were sealed. Raid Ant Traps did NOT work. They didn’t care to go in them nor were they attracted to the bait inside. Finally, we tried Borax/Sugar method. I placed 6 little water bottle caps with Borax/Sugar-drenched-cottonballs in different areas of the house. THIS IS IMPORTANT: You have to be patient. The 4-5 “searching” ants immediately were drawn to the Borax/Sugar caps and within 10 minutes, each Borax/Sugar caps had 40-50 ants surrounding it with random trails forming around the house. DO NOT DISTURB THE TRAILS. I felt my skin crawl watching these ants feast on the soluble (hint: they will climb in and they are NOT drowning in the borax/sugar cottonball and liquid). Went to bed at 1030 pm, woke up at 630 am and OMG the trails of ants were gone… disappeared. In fact 3 of the 6 Borax/sugar caps had maybe 3-4 ants around them. This is what we’ve learned so far: 1) There is more than 1 colony based on the different trails and where we placed the Borax/Sugar caps. We learned that each colony will not share and you need to provide a Borax/sugar cap JUST for them. 2) BE patient. I’m saying this again. I saw trails forming that started from one end of the house to the other, but each trail was responsible for its own colony. Lastly, we set out new fresh Borax/Sugar caps this morning to make sure any remaining “searching” ants gets its fill — remember, the little eggs/babies have yet to hatch. They too need to eat the solution AFTER they’ve hatched or you’ll get a brand new colony ready to “search”. After experiencing this, I have to educate everyone. I saw hundreds of ants and I never thought they’d leave. Trust that the ants are genetically programmed to do their duty which is to find food, eat it, and BRING IT BACK to the colony to share. GOOD LUCK Y’ALL! Hallelujah to Borax. I did this and yes, I see a swarm of ants. I have a room in the basement and dunno where the ants are coming from but they swarm my carpet and bathroom; especially the sink and shower. And they swarm my toothpaste and soap…. Its GROSS. My bro in law is an exterminator and he put ant bait traps and some sort of gel- this was last November of 2015. Its SEPTEMBER 2016 and they’re STILL a problem. The bait traps stained the carpet and I saw an army of ants swarming it tonight and freaked out!! My carpet is moving!! Should I wash the carpet? Thanks for that post! Very thorough. I was wonder if I did it right and your post helped. Over 2 weeks now no ants in sight, this after months of constant nighttime raids by our shared enemy. To those that come here for help, it works and works well….take time to read the whole article and comments, you will be happy with the results. We placed our cotton balls by the stove and the surrounding counter space, overnight we had well over 100 ants going to town on them in the morning. Left them out till just afternoon, cleaned up the mess and let the stragglers go. We followed up by placing them on the outside wall behind the stove and by our trashcan in our driveway……this is where we hit pay dirt. I went to check them before nightfall and found 4 lines of ants 10′ long pouring from a crack in our driveway, I moved the balls close to the source and laid out a few more….mid day next day……no more ants. PS….helping our next door neighbor as I type, she is well on way to being ant free! I tracked the ants to where they were coming into the house and baited the area with peanut butter and maple syrup both mixed with Borax. The results are amazing!! I woke up today with no ants inside at all, even though i set a bait inside. When i checked to traps outside there was only 5…..literally 5 ants on the outside baits. Yesterday there had to be millions on the peanut butter baits but only 5 are there today!!! For 4.39$ this was the best money I’ve spent on pest removal ever. We must have crazy ants – they are avoiding the cotton balls! we have ants that look just like the ones pictured. we have had them year after year. i actually used an ant killer liquid meant for outdoor use one year because they were actually squeezing themselves through the gaskets and into the dishwasher even though it was closed tight and had no gaps. they were so numerous i had to run the rinse cycle to keep the numbers down when we didn’t dirty enough dishes for a full load regularly. our ants are not attracted to sugar though and the bait in the ant traps also do not appeal. these seem to like animal fats & proteins, any tiny bit of juice or grease from cooked meats attracts them. i’m going to try mixing borax with a little chicken fat or tallow drained from ground beef and see if that does the trick. I’m trying some 50-50 borax and peanut butter mix bait on those hard-to-kill-with-anything-practical tiny ants. They are really, really hardy(bleach did not stop them for long), as many of the things that work on fire ants do not against them. This does work, though, as a strong deterrent: Cayenne pepper powder. Just put it wherever you see them and where they are coming in in that area. They’ll walk right through it for about 2-3 days, then they’ll gone from the area just as long as the opening has cayenne powder on it. It will not kill them, so they might find another way in. Hopefully, the 50-50 PB to Borax bait works. If it does, then I’ll save the page so I know how to get back(sometimes, baits take a while and it might no longer be in history). Try mixing boraxo with peanut butter..works good for protien seeking ants. Found out that there are many different kinds of ants that eat different things. I used a mason jar lid to put the mixture on. Almost a year ago I had ants that liked cornmeal. Take a jar and mix it 50/50 Cornmeal and Borax with water. Put some on a mason jar lid. They can easily climb it, replace the mixture on the lid every morning and evening with the paste. When it dries smash it so it’s not stuck together and small enough so the ants can carry it away. Put the lid on the jar and keep using the same mixture. Almost a year later ants again. I figured no problem I’ll give them cornmeal. They didn’t want cornmeal at all! I tried all kinds of combinations with sugar. First my borax, sugar and water was too strong and they wouldn’t eat it. Then it was too weak they loved it but weren’t dying. Here it the combo that killed the whole colony them in 2 1/2 days. Again I used a mason jar lid to put the mixture on. 2 teaspoons Sugar, ½ teaspoon Borax (mix well), ½ teaspoon Water and mix until it looks like syrup consistency. They love it. It’s actually a 4:1 mixture of sugar to borax with water. I replaced it with new mixture every 6-8 hours and picked up the old lids with the ants on them eating, put them in a bag and threw it away. Yes you let them eat and take it back to the colony but there were so many there was plenty ants left to take it back. If they line up all the way around your mixture put out two lids. The second day you will only need one lid. I though I’d share because this was a nightmare until I finally got it right. Bottom line you have to find out what they want to eat. If you make it too strong it does no good if they won’t eat it. I tried all of the Ant Gel on the market and they didn’t want any of it. They loved my mixture though and it killed them. Yes, you need to mix water up with it too. I soaked this mixture with a cotton ball and put some Nutella on top for good measure and the ants loved it. This attracted the fire ants and some other species of tiny brown ant, although I’m not sure what kind of ants you have. I tried this method at my parent’s house and my girlfriend’s parent’s house this holiday break, both of whom were having fire ant problems. It worked both times within 8 hours. I’ve only seen 1 or 2 forager ants since the ants swarmed the cotton balls and were killed off. My parents have cats, so I tried to keep the door closed in the rooms where I placed them. I also put paper plates over some of the cotton balls to keep the cats from being interested in what was underneath. Some were left out in the open, but the cats did not seem interested whatsoever. Your cats may be more curious, however. Someone mentioned putting in it a plastic Tuppeware container and cutting holes in it for the ants to get in, but not so large that pets could get in contact with the borax. I hope this helps. Good luck to you! My cat doesn’t mess with mine, i have friend with a dog i hope her dog leaves it alone. Im sure the PNB would a track the dog. Thank You was trying to figure out how to do this with pets. I have cats and my mom has a dog. My dog would eat the cup…perhaps a small glass jar & put holes in the lid. Thank you! I just found ants in the cat food this morning. It looks like I am the only one for who BoroX doesn’t seems to work. 🙁 I am not sure what kind of ants I have. It maybe regular ants. They keep coming in my bathroom on the second floor and nowhere else. Don’t know why. They circle around the sink. I sprinkled Borox on the window seal but they walk right through it and nothing happens to them. They kept coming. Not too many at the same time, about 5-6. It did the job, but I was super careful where I put it. I use Diatomaceous Earth which is crushed fossilized skeletons of diatoms/algae. It may take awhile, but is safe for pets and kids. okay would any of this help to get rid of skunks?! We have someone living under our porch so this got me thinking…. perhaps not a good idea to have a dead skunk under my porch either though 🙁 Any other ideas from you guys?? Thanks!! To get rid of skunks under the porch, soak a roll of toilet paper in ammonia and stuff the toilet paper as far back into the opening as possible using a broom. Skunks don’t like the smell of ammonia and will leave to move on to sweeter smelling accommodations. Trying this exact recipe with my ants today. I have hoards of them in every room of the house. I set out the cottonballs about noon. One in a cupboard where I’ve seen lines of ants, one in the windowsill above my backsplash, and one in a corner of my kitchen counter. Another went next to the trash can, one went in the living room near where I have seen another ant line, and the last went into the bathroom. I checked the cottonballs at 4pm and they were each covered with swarms of ants with the exception of the one in the living room and the one by the trashcan. It is 10:30pm and I just checked each place again. There are no ants to be seen on the cotton balls. 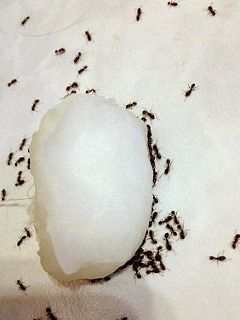 I saw 3 straggler ants in the kitchen, though, so I will leave the cotton out overnight. I’ll post another update tomorrow. Lisa, what is the sugar/borax ratio you used? 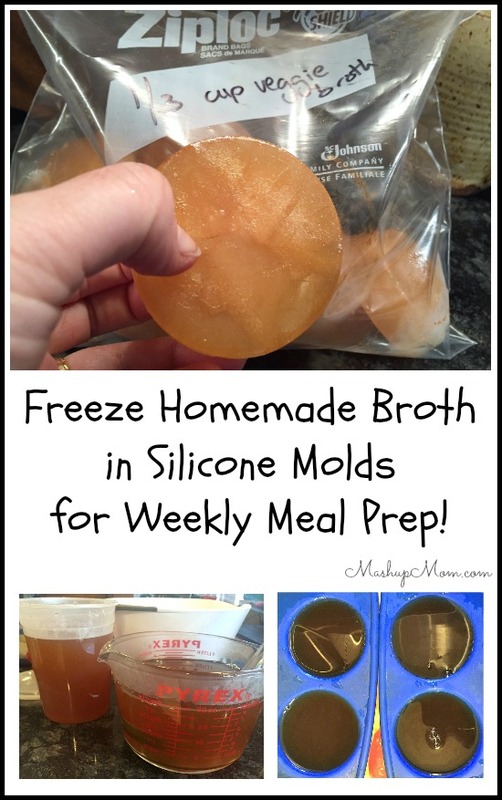 I used the exact recipe as above…1/2c sugar to 1.5 tbsp. It’s been 3 days. No ants the last two days. Last night i saw 3 in the kitchen, so i set out some more of the liquid in a plastic milk cap. No ants today. I assume when the current batch of eggs hatch I’ll need to do another treatment. Did it really work? I have used everyrhingi can think of and nothing gets rid of them. It worked for me. Almost a month later and i haven’t seen a single ant in over 2 weeks. I read that ants and roaches, termites, etc., “wear” their skeletons on the outside (called “exoskeletons”), and when they crawl through the borax (or make contact with it), their exoskeleton is destroyed, thus destroying the pest! That said, I am highly annoyed to find ants in my car! I don’t know what they are after, because I don’t eat or drink in my car (except for ice water), and I don’t carry snacks (except from the grocery store to home). I don’t know how easy it would be to use the borax/sugar/water solution in or around the car, but if anyone has a suggestion, I would appreciate it! This works! I used the recipe above, but also added a little Nutella (mixed with Borax) on top of the cotton balls because I thought it couldn’t hurt. Fire ants were all over the carpet in my office and had spread to the bathroom, searching for food. I didn’t have a problem with ants at all until the apartment sprayed for bugs! Coincidence? Anyway, I was reluctant to use any toxic chemicals and had used borax/boric acid years ago to get rid of roaches, and it worked wonderfully, but never thought about how to use it for ants. Thank you for this article. This really worked! Better than any Raid or anything I’ve ever tried and not nearly as toxic. No more getting attacked by fire ants just walking to the bathroom! Thank you, this worked great for me! Second floor condo unit. Ants came into the kitchen from under the sink, I think through an opening in the dry wall for the water pipe. I used the exact recipe posted and placed several cotton balls on the kitchen counter. The black ants immediately went for the cotton balls and surrounded them. The hard part is letting the ants feed and not squishing them -be patient with this! I left the cotton balls on the counter overnight for about 8 hours, and in the morning all the ants were gone except one lone straggler on the floor. No new ants since that night. I have leftover Borax liquid stored in a jar to use if the ants do come back. Yes . ! It really works. Much better than the raid baits! When we moved into the house I noticed any baits in the bathroom. Well we had ants everywhere! Bedrooms,bathroom ,kitchen and living room. The baits were not even working. Maybe a day or so and then they would be back. It was disgusting. Well my husband found the borax tip on line. It worked! Not one ant has been seen since. I live in an apartment and have had my manager come and spray the apartment. They were gone for awhile and then they came back. I found this link online and decided to give it a try. Right now the ants are feasting on the cotton ball…there are MANYYYYYY in there and I’m not killing them. I hope they will take that stuff back to the QUEEN and BYE BYE!! Hopefully there will be NONE there in the morning. Can we be sure that this Borax strategy isn’t being promoted by the company that makes Borax? yes…it is an old method and it does work…the results are often amazing! What happens if the cotton ball dries before the ants really get to it? I have a small pet syringe ( no needle) and just fill it with the sugar borax solution and each day re-moisten them. Usually just needs one follow-up the next day and they are gone. Trying this ‘recipe’ today. Had no ants all summer and then woke yesterday to gazillions of the teeny black ones absolutely everywhere. EVERY. WHERE. THousands. The borax amount in the recipe is small….hoping it works though! It does seem to be working. Is so gross watching them I want to kill them but know I cannot. Anyway, down to couple of ants left poking around. I will try one more feeding. Tip ONE, the ants were attracted to some washed out Chinese Take-Out containers that I had stored in my cabinets. Always throw plastic Chinese containers away. Tip TWO, this gave me an idea. In addition to the original recipe, add one packet of common Chinese Duck Sauce that one gets from the take-out. My ants are love Duck Sauce.. I mixed sugar and Borax and placed it where I seen ants. The ants have been all over the piles for about 4 days and they are still coming. I am going out of my mind with these ants! When will this stuff work? Maybe try Optigard Ant Gel Bait Insecticide? Any suggestions on getting rid of med. size black ants? I have tried Terro, Borax with sugar and Borax with peanut butter. They are not interested! They are running around my kitchen like maniacs. We sprinkled Ant and Roach powder around the foundation and also sprayed the foundation with mint. Our yard is full of a variety of different ants. We’ve been in this house 45 years, and nothing is different. Yikes!!!!!! Go outside, and try to figure out where they are entering your house. When you are able to find the entrance, pour lots of vinegar down there. I used to use this trick when I lived in a first floor apartment, and it got rid of the ants. You have to make sure though that you have found their colony though. Have you tried tea tree oil and vinegar? Very helpful ideas. I have seen a couple of ants in my kitchen today so will buy some Borax and try this before I end up with many more. So glad I saw this site on Facebook.